Teams from the Universities of Aberdeen, Maastricht and the University and Academic Medical Centre in Amsterdam, developed a new programme designed to better assist patients treated for HIV in taking their medication prescribed to control the virus. 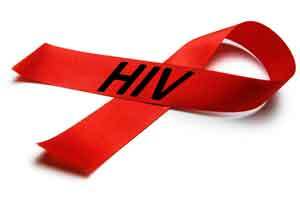 The study, published in The Lancet Infectious Diseases, reports that whilst HIV medication does not deliver a cure, it works so well that the life-expectancy of people living with HIV is quite similar to that of healthy people. Patients successfully treated for HIV are also extremely unlikely to transmit the virus to others. However, a significant proportion of people with HIV take their medication too irregularly for it to work well, or discontinue their medication entirely. Irregular use of the medication or ‘non-adherence’, means that the virus gets a chance to replicate again and can attack the immune system potentially leading to AIDS. Using a combination of self-management strategies, counselling and patients tracking their own medication use with electronic pill bottles, the study found an increase in treatment success rates of almost 18% compared to patients who received regular care. Health Psychologists and clinicians from Aberdeen and the Netherlands carried out a trial of their intervention programme on more than two hundred patients over 15 months in 7 hospitals across the Netherlands. The amount of virus present in the blood, or viral load, was measured before and 3 times after the intervention. If patients had a detectable viral load at two consecutive time points after the intervention, it was labelled as ‘treatment failure’. Results showed a substantial reduction in treatment failure (over 60%) in those who received the intervention, compared to those who had received regular care. The team also performed an economic evaluation on the intervention and found that as well as improving patients’ quality-adjusted-life-years (the years people life in good health), it was also cost saving. If ten thousand patients would receive the intervention, it would save approximately 5 million Euro and lead to a gain of 340 quality-adjusted-life-years. Professor Marijn de Bruin from the University of Aberdeen said: “This is the first adherence intervention in HIV care that demonstrates clinical and cost effectiveness. The intervention can be applied in routine clinical care, and the effects have been reproduced in consecutive trials. “Although HIV medications are very effective, they can have quite a few side-effects and people with HIV don’t usually experience any symptoms of the disease, so for these and other reasons it is unsurprising that adherence among some patients is suboptimal. “We designed a programme in such a way that it would fit in with routine care and only adds about 10 minutes to the consultation. “Our intervention has proved to be very successful at improving drug-adherence and in turn reducing treatment failure. Importantly, these effects were most profound amongst patient groups from which we know struggle most with this treatment. “As well as important for patients’ own health, having a very low viral load means that people are extremely unlikely to transmit the virus to other people. So not only is this a significant improvement to individual patients’ health, it is also important for public health because it may help to curb the pandemic by interrupting the transmission of the virus. ‘’That the intervention also saved money rather than required extra resources was unexpected, and it strongly suggests that introducing this programme in routine HIV care is beneficial for patients and society.